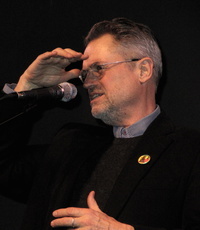 Robert Jonathan Demme (born February 22, 1944) is an American filmmaker, producer and screenwriter. Best known for directing The Silence of the Lambs, which won him the Academy Award for Best Director, he has also directed the acclaimed movies Philadelphia, Rachel Getting Married, the Talking Heads concert movie Stop Making Sense and a trilogy of Neil Young documentary/concert movies. This webpage uses material from the Wikipedia article "Jonathan_Demme" and is licensed under the GNU Free Documentation License. Reality TV World is not responsible for any errors or omissions the Wikipedia article may contain.